Susan Sontag writes about how to live a life. I challenge you to test these principles while on holiday. • Keep a journal. Write three pages every morning in pencil, in long hand. 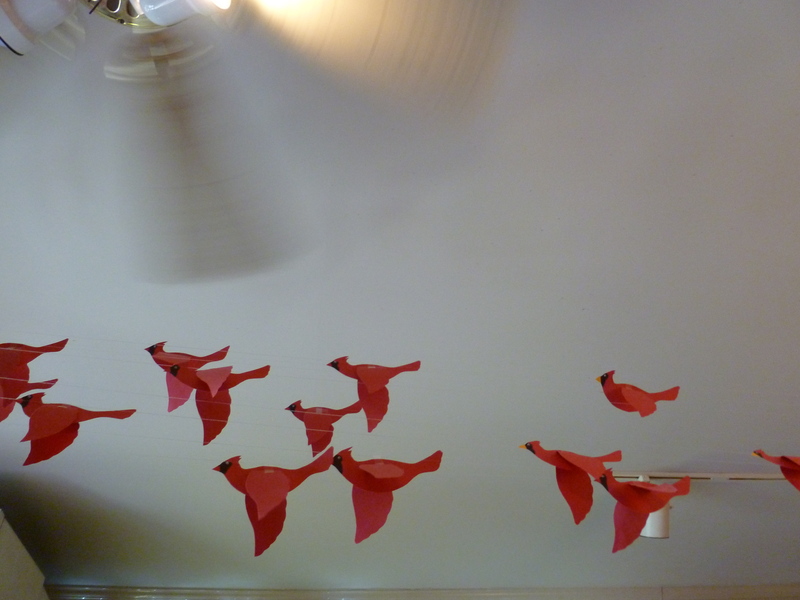 Oh, and don’t forget to look up:) These flying paper birds hang in my favorite cafe´on Broad Street in Charleston. Two artists opened the place, and it feels like a little French cafe. The cucumber soup is delicious and you will make new friends immediately with whomever is seated beside you. If you come Art Walk with me, we start with the flavor of this place! I love your blog! Please keep posting!! Thanks, Charlotte. I will! Come to Charleston! What wonderful advice. Something I try to remember to do is to look where I have been (behind). I learned this one a visit to the southwest.